One of the best value segments for automation is in operations. Currently,51%of manufacturers in the U.K. have already invested in automation in some operational capacity. In fact, the U.K. currently has71 industrial robotsper 100,000 workers. With all of this software powering automation to improve efficiencies, reduce redundancies, and increase total time-to-value, ensuring that you have the right control equipment is critical for taking advantage of these incredible innovations. What are Rugged Panel PCs? Traditional home PCs are unable to withstand the strenuous conditions of modern manufacturing. Luckily, rugged PCs have become a standardised set of equipment that can be used both to control, support, and supply automation capabilities — as well as point of use, kiosks, and other crucial software components. Unlike traditional PCs, rugged PCs can handle harsh industrial environments and are capable of easily connecting to equipment without interfering with operations. This makes rugged PCs perfect for industrial automation, as they have the ease-of-use, hardiness, durability, and design to help them seamlessly integrate with most industrial automation processes. 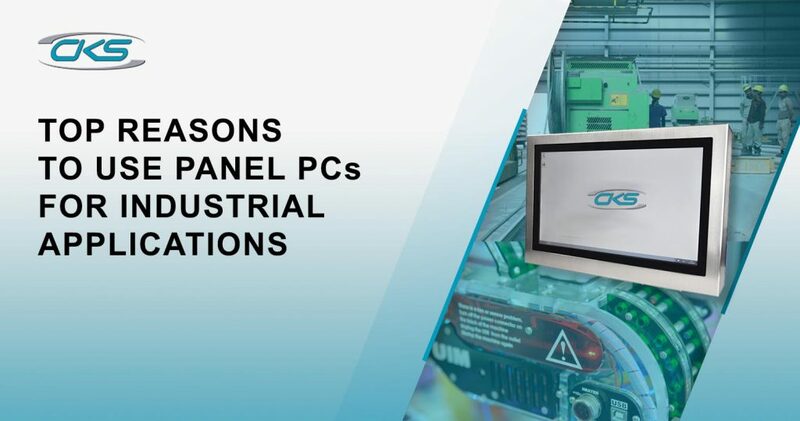 Let’s look at some reasons why rugged panel PCs are perfect for supporting, controlling, or utilising industrial automation. Panel PCs can be easily integrated into machinery, hospital equipment, walls, and almost anywhere that you can find a spot to mount them. On top of this, rugged panel PCs have touchscreens, which means that they can remain operational in situations where you simply can’t properly utilise a mouse and keyboard (such as directly on machinery). Depending on the panel manufacturer, some panels come equipped with4mm Polycarbonate Filter, which helps prevent scratch damage and grease from causing touchscreen delays. This makes them useful in situations that require heavy-use. Most panel PCs are also waterproof. This is critical for both cleanliness — as you can simply wash them down with water — and for use in factories (such as food) where they will be in contact with liquids. Since each manufacturer requires a different unique setup and has industry-specific workflows, panel PCs are often hyper-customisable. This means that protective equipment, brightness, mounting, and operating temperature can all be specified to the industry. This gives panel PCs the flexibility to be useful across industry channels. With fanless cooling, easy-to-use touchscreens, customisablescreen layouts, and simple installation, rugged panel PCs are simple to use. This means that training employees how to use this equipment will be pain-free and they can be used immediately across a wide range of projects. With automation becoming a key part of industrial strategies, ensuring that you have the correct hardware to support these day-to-day operations is paramount. Rugged panel PCs give you the flexibility, durability, and versatility that you need to deliver automation in harsh, unique environments. Are you looking for best-of-breed rugged panel PCs that are easily customised to fit your exact industry standards?Contact us.